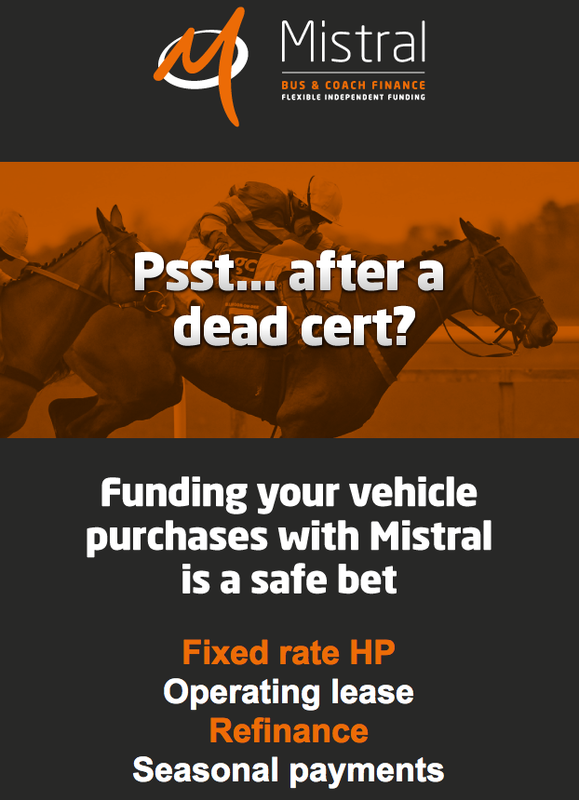 As finance specialists for the bus, coach and mini-coach sectors, Mistral Asset Finance is a safe bet. Our team has unique access to a wide panel of lenders plus our own book facilities via Mistral Direct which enables us to find the best finance deals on the market for new and established customers. Meet the Mistral team here, led by Chief Operating Officer Guy Wadsworth, and make an appointment to discuss how our business can help you get the most from yours. Call Francesca Bottomley on 01565 653 3110 to arrange a no obligation discussion. Our iBrochure is also available to download here.